Meet Harold Fry, recently retired. He lives in a small English village with his wife, Maureen, who seems irritated by almost everything he does. Little differentiates one day from the next. 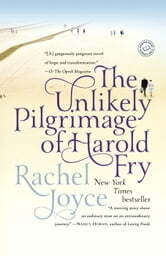 Then one morning a letter arrives, addressed to Harold in a shaky scrawl, from a woman he hasn’t heard from in twenty years. Queenie Hennessy is in hospice and is writing to say goodbye. But before Harold mails off a quick reply, a chance encounter convinces him that he absolutely must deliver his message to Queenie in person. In his yachting shoes and light coat, Harold Fry embarks on an urgent quest. Determined to walk six hundred miles to the hospice, Harold believes that as long as he walks, Queenie will live. 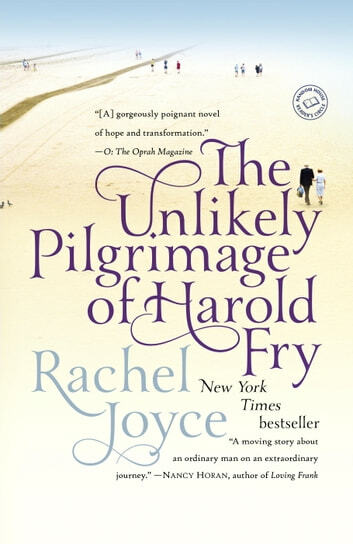 A novel of charm, humor, and profound insight into the thoughts and feelings we all bury deep within our hearts, The Unlikely Pilgrimage of Harold Fry introduces Rachel Joyce as a wise—and utterly irresistible—storyteller. Great book. Made me cry and laugh. I really enjoyed this book. It was easy to read and very engaging. I felt personally invested in Harold and his journey. I was also truly surprised by some of the revelations in the book. Though some of the story line might appear far-fetched, the overall tale is one that many will be able to relate to on some level. I loved it! I felt a connection with the main characters, especially Harold. I look forward to reading more of this author's work. This book really makes you think on so many levels about life and events that happen with time. A great story which I recommend everyone should read. Keeps you involved! A good read that you think about after.